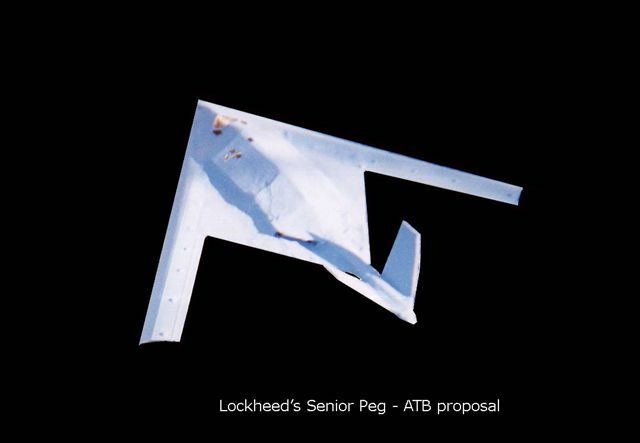 SENIOR PEG is Lockheed's entry in the B-2 stealth bomber design competion of the 1980s. 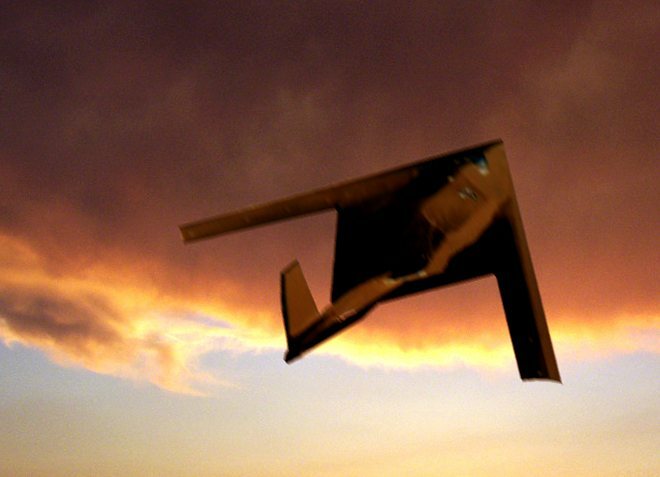 The Lockheed entry was developed based on the Echo One (Hopeless Diamond) angular-faceted stealth-RCS reduction codec and resembles the Skunkworks earlier F-117 and Have Blue prototypes design philosophy, except it bore a large twin V-tail located on a boom aft of the trangular flying-wing. Photo of the Lockheed SENIOR PEG design. First published in the March 2005 issue of Popular Communications. Photo copyright © James C. Goodall, with friendly permission. Photo may not be reproduced in any form without permission. Composite done by Steve Douglass from Jim Goodall's original above. Aparently Lockheed had reversed color values on the image. This composite, with colors reverted back to the original, makes it look more realistic. With friendly permission by Steve Douglass.